For manufacturers of rock drilling tools, we produce components which perform well even under the most difficult conditions. 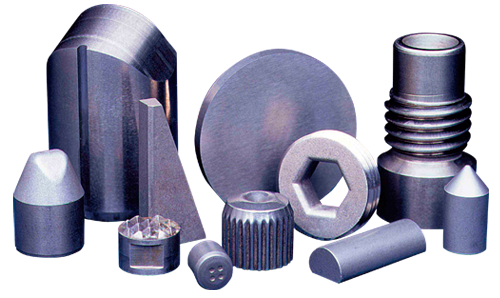 Hydro Carbide drilling compacts, studs, geophysical inserts, flat top compacts and drill stabilizer products are manufactured by direct pressing from carbide grades of medium to coarse grain structure and from 10% to 19% cobalt. Hydro Carbide’s manufacturing plant is located to easily service the needs of many OEM producers of earth drilling tools. Our location, efficiency, and years of experience in pressing tungsten carbide make Hydro Carbide, a preferred supplier of drilling components to some of the world’s largest rock bit, water well bit, geophysical and drill stabilizer OEM manufacturers.